It has a capacity o f6 Litre Resin filling. The output will be delivered upto 1400 softened water. 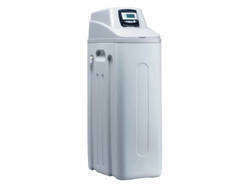 Buy the Kent water softeners for best-in-class water softening techniques recommended for both home and office. It employs a compact design which helps in saving space. Don’t wait, go and bring this hard water softener for home. You can buy this water softener system, available at the best price. Wonder Blue RO Systems Pvt. 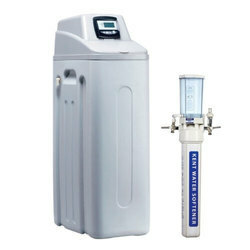 Ltd.
Automatic Water Softener enhances the quality of water by replacing hard salt of magnesium & calcium with sodium. Its fully automatic micro processor controlled time based regeneration process gives you freedom from calling a technician time and again maintenance / recharging.